“That’s a new bird,” said my father, pointing at a green barbet that hopped upon the neighbouring roof. “We didn’t see that when we were young.” “Off late I have witnessed new birds in Kolkata,” remarked bodojethu (Bengali for eldest uncle) in clear resonating voice as we sat lazily in his room that overlooked lush-green foliage of trees outside. “I had a tuntuni (common tailor bird) build a nest right here next to my window. We knew them as migrant birds, but now they seem to have become residents.” During my stay, residents of the Kolkata echoed this observation of increasing bird population, and in praise to West Bengal forestry department. Indeed, the tree-lined avenues of the city stand testament to greening efforts of the forestry department. To note, both my father and uncle’s account of experiences focused on new birds like ghughu (dove), doel (oriental magpie robin) and bada basanta (green barbet) that are making the city their home. In urban areas, pigeons fall easy prey to falcons, owls, crows, cats and even large rats. Compared to other birds like the common tailor bird (tuntuni pakhi in Bengali) or sparrows (chorai pakhi in Bengali), pigeons are larger, slower and spend a lot of time resting on the cornices and ventilation shafts of buildings – making them easy targets. While birds of prey are documented to be ruthless predators of feral pigeons in cities, cats are globally known for the billions of birds they kill every year. Only last year, The Hindu, a daily newspaper in India since 1889 reported a study that found in Australia alone, cats kill one million birds per day. Another study estimates that about 20 per cent of a cat’s diet (pdf) depends on birds. But while the neighbourhood faces an exploding cat population, mongooses as we understand love to feed on kittens. This makes pigeons a dominant food source for urban predators and an integral part of the food chain. Not surprisingly, when in Kolkata, I found the domestic cat bring a pigeon in its mouth every other evening. The mother cat would take her kill to a secluded corner of the house to savour it, for us to clean up feathers in the morning. During the day, cats crouched along the parapet wall to ambush other little birds that visit my uncle’s roof garden. Observing this behaviour for months, I felt that the otherwise pro-active feral predators were lethargic in their efforts to hunt smaller birds. Indeed, hunting tuntunis or chorais would mean a lot more effort – for very little food. 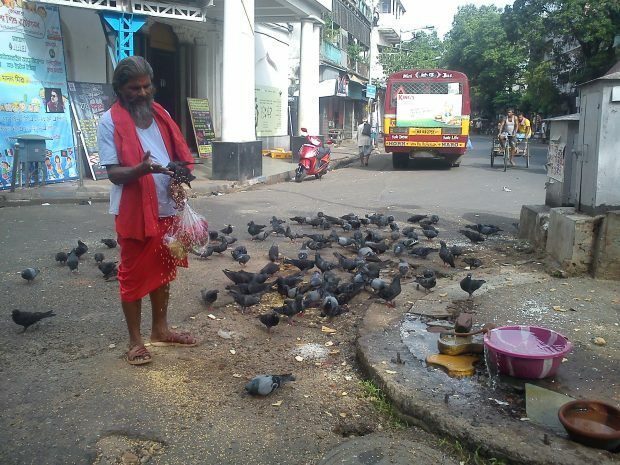 Thus, the increasing population of pigeons supported by human-feeding is a blessing in disguise for other birds. Anthropogenic feeding is often correlated with an exploding pigeon population in cities. Inconveniences and hazards faced by human residents from pigeons, has led experts to oppose bird-feeding practices as means for curbing conflicts in cities. But a sudden stop in public-feeding practices would most certainly mean the pigeons, both domestic and feral alike, invading into the existing food sources of other birds in the city. Pigeons can eat almost anything starting from seeds, fruits and vegetables to insects, snails and earthworms. The destructive impact large flocks of pigeons will otherwise have on the urban food-web (pdf) and urban nature, is tremendous. The above camera-capture of anthropogenic feeding at Cubbon Park, Bangalore can be used to picture this scenario – where pigeons far outnumber even popular urban birds like the common mynas and jungle crows. The public square at Utpal Dutta Sarani enables an intensified feeding mechanism that spatially restrains foraging activities of an exploding pigeon population, preventing destructive impacts on urban nature. At the same time pigeons are gradually becoming an important part of the urban food web to support other lifeforms in cities. 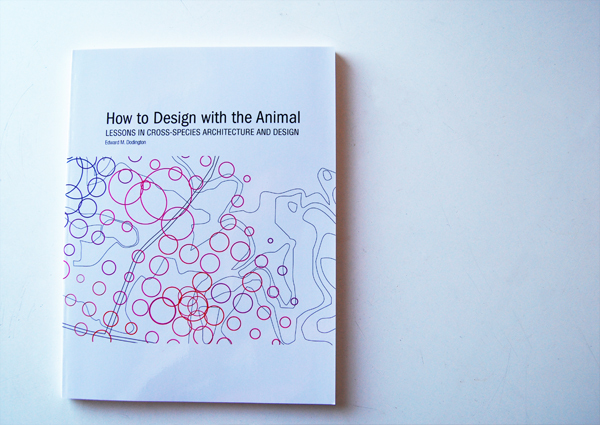 Thus, it has become a matter of no small significance that connection between human-practices and nature continue to shape the landscape of urban biodiversity. Stopping the feeding practices abruptly can render other bird species – many of whom are still struggling to adapt to the city’s environment – vulnerable. This is a case for urban-biodiversity management to consider inter-species linkages and human-animal conflicts together, rather than addressing them in isolation. To protect vulnerable species, cities must acquire better understanding of the fast transforming patterns in urban-biodiversity landscapes; which virtually rests on cultural practices of humans.